Eintracht Frankfurt have triggered their purchase option on Luka Jovic following a brilliant spell on loan from Benfica. 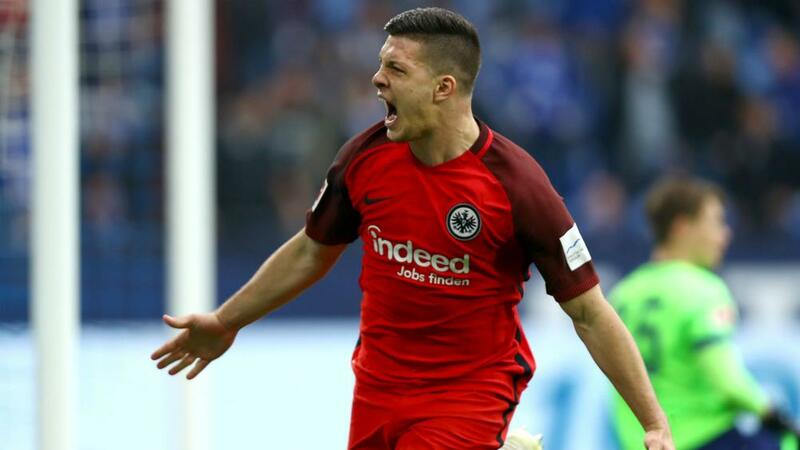 Jovic is enjoying a stunning season in the Bundesliga, having scored 17 goals in 27 matches so far, and Frankfurt have secured his future, tying him down to a four-year contract after meeting a reported €6million buy option. Frankfurt sporting director Fredi Bobic explained the club could not afford to miss this opportunity. "The development of Luka with us is very pleasing," he told the club's website. "For us there was no question that we wanted to tie him firmly to the club. "He is a player with extraordinary skills. It is important to us that we have bound him to us." The 21-year-old Serbia international had been highly sought after coming through the ranks at Red Star Belgrade, joining Benfica in 2016. But in one-and-a-half seasons, Jovic made just two Primeira Liga appearances and struggled to make an impact for Benfica's reserve team, leading to some suggesting evaluations of his potential had been misplaced. He joined Frankfurt on an initial two-year loan with an option to buy and made good strides in his first campaign, scoring eight top-flight goals in 22 appearances – only nine of which were from the start – and helped the club to DFB-Pokal glory. This season Jovic has become a key player, playing 40 times across all competitions and hitting the net 25 times, with his most recent goal coming against his former parent club Benfica in the Europa League as the Portuguese side won 4-2 in their quarter-final first leg. The two sides' next meeting on Thursday will see Jovic line up as a Frankfurt-owned player. However, it has been widely speculated that Frankfurt could offload him once again at the end of the season, with the striker – now said to be worth in the region of €50m – reportedly interesting Barcelona.